Most companies need to report on their business in different ways, depending on the audience of the report. Sales is no exception. However, time is of the essence, so reporting on this information needs to be quick and accurate. The ability to drill down into greater detail provides a lot of value by allowing decision makers to quickly see what exactly made up their successes or what factors they need to change for next time. Company: High-level overview of the sales of the company (usually broken down by Tax ID). In the situation of owning multiple companies, those organizations will need to report on each company’s individual performance. Facility: Overview of sales that has been broken down by physical location. If a company has multiple physical locations, it’s important to see efficiency and performance at each building. Customer: Overview of sales that have been broken down by customer. Being able to see sales by customer will allow businesses to hold their salespeople accountable for their sales levels per account, rather than an overall quota per year. Product Line: Overview of sales that has been organized in larger product lines. Product: Sales report by individual items being sold to customers. This is the most detailed level. Businesses will have to create detailed GL Accounts for each facet that they would like to report on. The accounting software that is used will need to roll transactions up to a more summary level detail via financial reporting. The most common areas this will complicate the Chart of Accounts is in the Inventory, Sales, and possibly Accounts Receivable sub-ledgers. In order to get the level of detail needed for reporting, a business will have to add as many accounts as necessary, including roll-up accounts. This adds layers of complexity on individual transactions since someone will need to make sure the correct accounts are being used for the different scenarios. This also requires someone to set up the financial statements to generate in the ways needed for the varying levels of detail. If the accounting software does not have the ability to customize reports or have multiple views of reports, this can be a time-consuming process each time the reports need to be run. By having to manually create financial statements each time, a number of risks can be introduced which makes the financial statements less valuable as well. But what if a new employee needs to hand-create these reports or if the employee who usually creates the statements is away from the office? This can leave decision makers in the lurch waiting for information, and that’s not to mention getting the data itself in a presentable format. A lot can happen when someone has to manually “copy and paste” financial data! However, this is not necessary if the ERP software can provide this same level of sales reporting inherently within the software’s functionality. When all of your data is housed in the same system, there is no copying and pasting data from one environment to another. Having your most used reports saved as Favorites will simply require users to click once or twice to retrieve relevant information at their fingertips. Having the ability to report at the sub-ledger level with relevant information regarding the sales activities, will allow companies to maintain their current Chart of Accounts while also having the flexibility to have detailed sales reporting for their business. 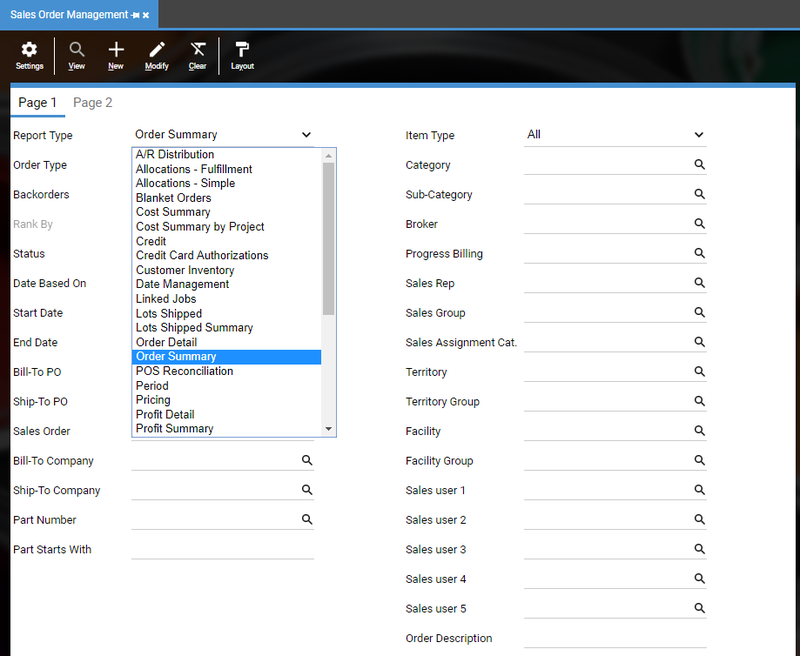 DEACOM’s Item Master, Customer, and Sales Order tables allow businesses to store the relevant sales data at each level needed, and DEACOM’s different Management reports give users the ability to generate a variety of sales reports for all types of stakeholders. This means that the General Ledger doesn’t have to expand to keep up with your business’s growth! But what about the other areas of your company? Is sales the only place to improve? In our next blog post, Joe Ferro will discuss purchasing and production variances to show how you can gain visibility into your efficiency when purchasing and manufacturing products.